Daal with Dil (Heart) – What is Curry? A lot of times we try to distance ourselves from things that bring up memories of hardships. And for a long time, I did that with daal. My family came to America seeking a better life because at the time, “home” was anything but. However, I realize now that the lack of home was caused by the parallel power structures that we would face again in the united states. So we kept struggling, deluded to believe there was something called the “American dream” when it was really a nightmare that was made on the backs of black and indigenous lives and as immigrants we just let America continue this myth of a melting pot. So as we were moving around with no money, no stable home, in a land of strangers who stared at us as alien..this is what my mama would cook. An economically genius meal that still delivered us all the nutrients we could stretch into our budget. The same spices that now food critics will rave about and health “gurus” will commend for their “cancer-fighting” properties, were the ones that were used by landowners to not only deny us housing but offer us hiked up prices so that we couldn’t afford rent and therefore continued a nomadic journey from georgia, texas, to california. We smelled they said, an odor they had a hard time cleaning. And for a long while I kept trying to clean this recipe from my diet because I didn’t want to revisit the implications they had once brought. But as I grew older I kept becoming amazed st the nutritional treasures hidden within the lentils as protein and fiber which is really essential for a vegetarian or vegan diet or the antiseptic qualities of turmeric, the low cost of ingredients that you can buy in bulk when paychecks don’t come fast enough, the ease of the recipe and lastly the nostalgia it will always bring of my mom. The woman who held us together with both her food and perseverance. Daal itself can be made with different lentils and pulses. Other favorites of mine are moong and toor daal. Each daal can have different garnishes such as coconut, mustard, cumin, etc. You can also boost fiber by adding veggies such as spinach (my mom would do this often as well). This one is definitely thicker and has more body which is nice on winter days especially after it has rained. It’s really important to presoak your lentil for 12 hours/overnight otherwise the whole cooking process will take forever. (Learn from my mistake, the first time I made daal it took me over 7 hours rip). Chop up your veggies finely and puree the tomatoes. 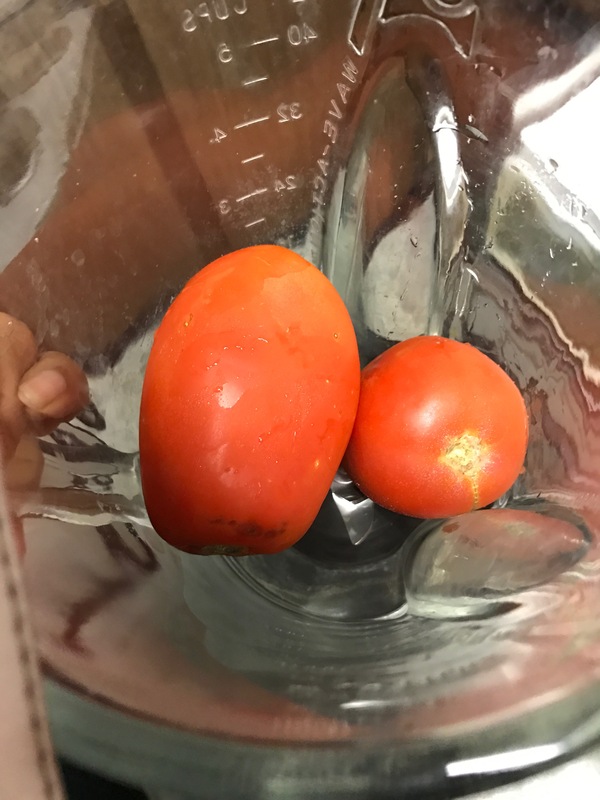 If you’re not a fan of tomatoes, you can puree all of them so you don’t have any bite sized chunks in your daal. If you have a pressure cooker, it’s ideal for this recipe. If not, you can simply use a large pot. With a flame of medium high, place the lentils after rinsing into the pot with about 5-6 cups of water to cook in. Cover with a lid and let cook until most of the water is gone and the lentils are cooked (15-20 for pressure cooker, 30-40 for pot). In another pan toast the cumin and bay then sauté the onions, tomatoes cumin seeds, ginger, garlic, and chilies, bay with some salt and turmeric. Rinse the cooked lentils and add the onion mixture along with tomato purée. Add water to cover, spices, bay and coriander. Let simmer for another 20-25 minutes. Open the lid now, the lentils should be really soft. Mash some of them to have a thicker consistency. A lot of people will add cream at this stage to make a pppular dish called dal makhani but a vegan alternative to that would be adding cashew paste or coconut milk. I personally like it with just the lentils. 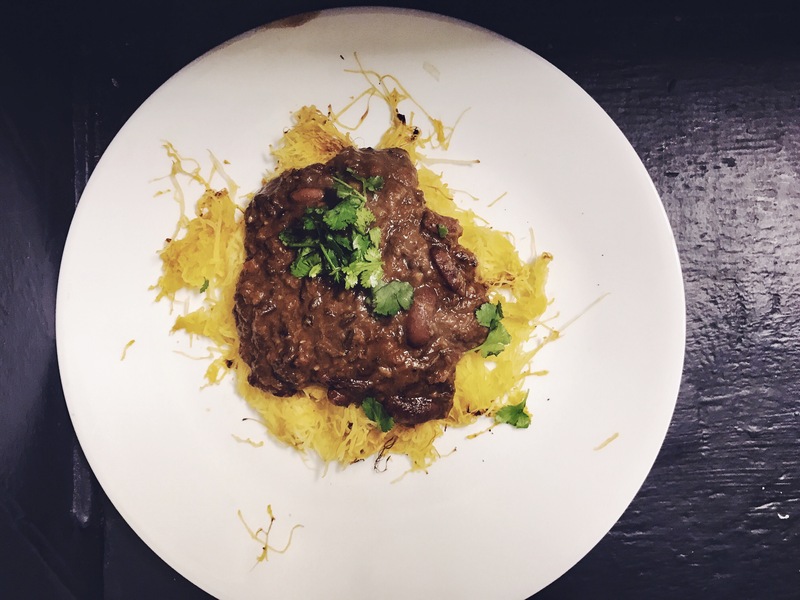 You can serve this with roti or if you’re going low carb, it tastes great on spaghetti squash as well or zoodles!